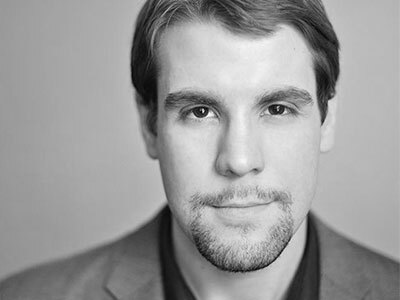 Božidar Smiljanić studied at the Royal Academy of Music and joined ENO last season as a Harewood Artist, making his debut with the company as Marquis D’Obigny La traviata. Notable engagements include: La finta semplice (Classical Opera Company/Ian Page at QEH); Masetto Don Giovanni in concert (Bamberger Symphoniker/Jakub Hrůša in Bamberg and at the Elbphilharmonie; Captain Eugene Onegin (Glyndebourne); Masetto (Glyndebourne tour); and in his first freelance season, he made his debuts with Garsington Opera, Scottish Opera, the RLPO and the CBSO, and returns to Birmingham this season in Walton’s Belshazzar’s Feast (conducted by John Wilson). He also joins Hervé Niquet and Le Concert Spirituel for Handel’s Messiah. Following an impressive showing at the final of the 2017 Neue Stimmen Competition, he joins the ensemble of Oper Frankfurt for the 2018/19 Season where his roles include Garibaldo in Claus Guth’s new staging of Rodelinda, Elviro Xerxes (conducted by Constantinos Carydis), Sprecher Die Zauberflöte, Hunter Rusalka and Zuniga in Barrie Kosky’s Carmen.